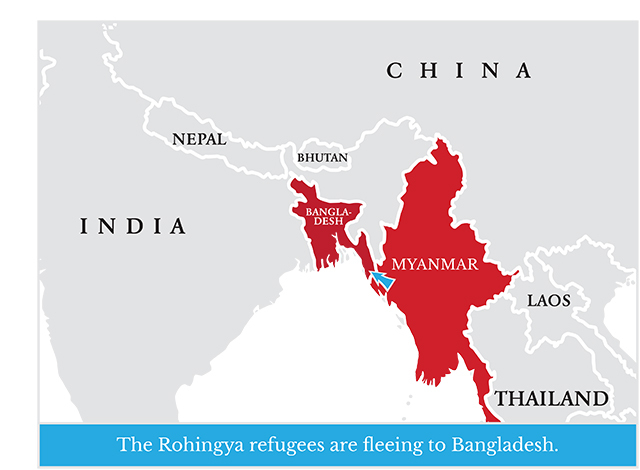 The Rohingya are a Muslim minority who are fleeing ethnic persecution in Buddhist Myanmar. Many have crossed into Bangladesh. Around 650,000 refugees are stranded on the border of Myanmar and Bangladesh at present in makeshift camps. Your support will help us meet life-saving, emergency needs for these refugees. Due to heavy rain, we are transitioning our Diphtheria Treatment Centre into a clinic to treat waterborne diseases. Thanks to your support our doctors and nurses continue to serve at nearby Memorial Christian Hospital. We have increased the hospital’s medical efforts with a second 24-bed ward to help cope with surgeries. The Diphtheria Treatment Centre you enabled us to build treated nearly 1,000 diphtheria cases & 7,000 patients. 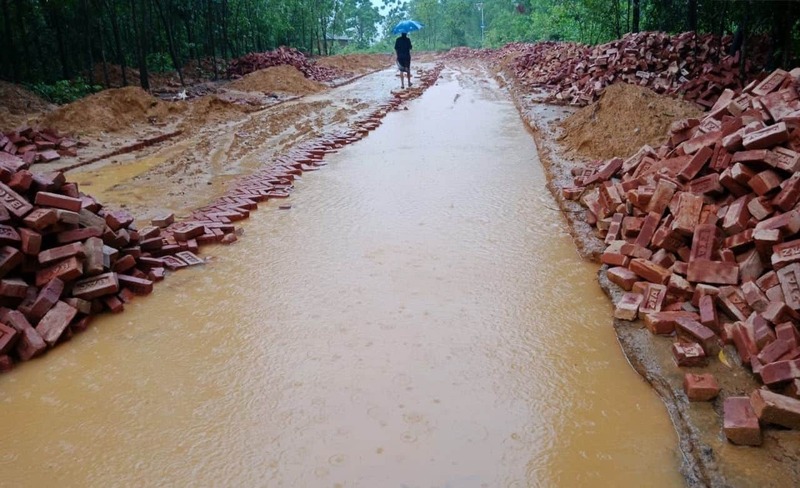 Last week in southeast Bangladesh, incidents triggered by heavy rain and landslides killed at least 12 people, including two Rohingya refugees from Myanmar who were living in a refugee camp. 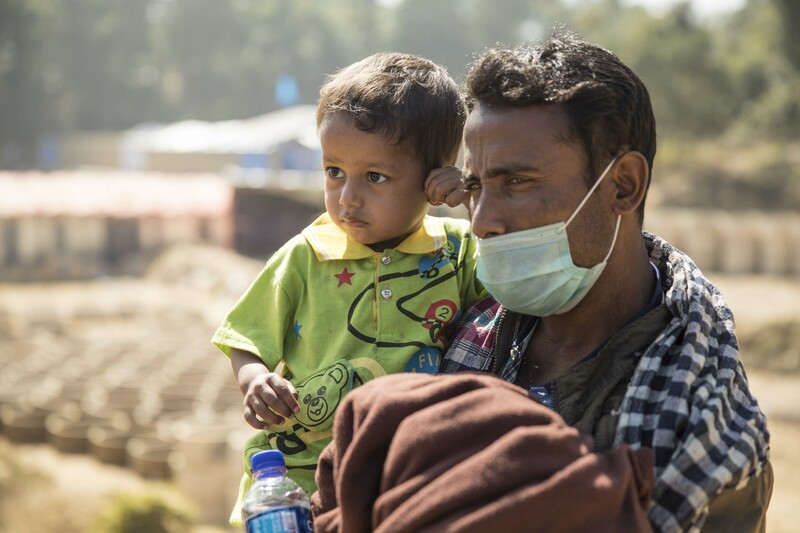 Major monsoon storms have flooded some areas of Bangladesh, and Samaritan’s Purse is preparing for the infectious diseases that could result in the camps, including potentially deadly diarrhoeal diseases. 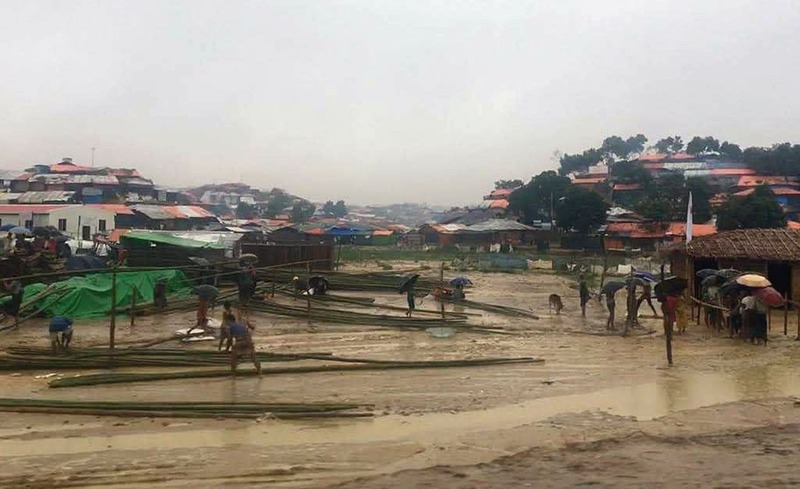 Makeshift shelters, latrines and small shops in the camp are built on sand and clay hills, and it is evident that there will be an increase in waterborne diseases which will likely spread through the camp of nearly 600,000 due to overcrowding. Samaritan’s Purse constructed and operated a Diphtheria Treatment Center where we deployed medical professionals to treat hundreds of patients during the diphtheria outbreak in the refugee camps. Now we are transitioning our clinic into a treatment center for waterborne diseases. The wards in the Diphtheria Treatment Centre are currently tents sitting directly on the ground with a dirt and sand floor.  To prepare for the next onslaught of patients that is expected, Samaritan’s Purse is pouring concrete floors for three of the wards, and putting up a strengthened superstructure. The concrete floors will ensure that waste is properly collected, drained and cleaned, cross contamination is reduced, and the ward is kept to an adequate clinical standard of cleanliness. The strengthened structure is necessary to ensure the center is able to provide service to refugees in need of critical healthcare, even after enduring the storms. Samaritan’s Purse opened its Diphtheria Treatment Centre in Kutupalong Camp on the 31st of December 2017. Since then we have received nearly 7,000 patients and treated around 1000 diphtheria cases. When disaster strikes, it’s children like Mohammad who suffer the most. Mohammad could have died. But because of the generosity of people like you, who enable Samaritan’s Purse workers to save lives, today this little boy is alive and well.